San Cassiano is a medium-sized resort in the Dolomites mountains, offering picturesque views of some of Europe’s most astounding scenery. This stunning region in north-east Italy is a Unesco heritage site and is renowned as one of the world’s most beautiful ski areas. Skiers can look forward to wonderful sights as they glide through the snow surrounded by stunning pine trees and gloriously blue skies. With runs to suit all kinds of different abilities, San Cassiano is an excellent option for families and beginners looking to experience skiing for the first time. The conditions in Santa Cassiano are absolutely sublime for travellers, with generous layers of snow expected between December and April every year. Thanks to the resort’s perfect location, skiers will revel in a wintry climate with low winds and perfect for the slopes and for taking pictures to make friends jealous back home. Santa Cassiano has a wonderful range of attractions for visitors. It is much more than a ski resort, as its stunning hotels, lush landscape and easy accessibility make it a fantastic place to relax and put your feet up after a day exploring its amazing variety of runs. One particularly unique attraction at San Cassiano is the natural toboggan run Foram, which is a 4.8 mile long downhill slope from Lagazuoi to San Cassiano-Sare and Armentarola. There is also an excellent cross-country area designed for people who want to wander through the majestic surroundings. 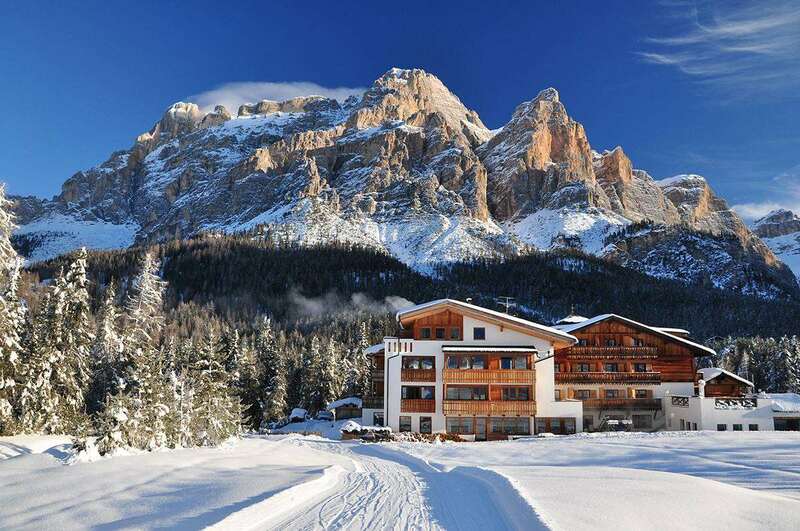 San Cassiano is right in the middle of the huge South Tyrol Ski Area, with a number of beautiful territories for skiers and snowboarders to explore. More experienced visitors could take on the challenge of the World Cup slalom piste or move across the Lagazuoi’s Hidden Valley, where travellers can look out at breathtaking frozen waterfalls and magnificent rock walls. For those who want to venture off-piste, there are some excellent options including the vast Sella Ronda, where skiers can witness the unbelievable scale of the resort. There is a wide spectrum of excellent accommodation in the area, ranging from deluxe mountainside hotels to more affordable alternatives that do not compromise on service. Hotel Diamont is one of the top options, where holidaymakers can wind down after a day on the snow in the new Gran Ega Spa before enjoying delicious meals at its amazing restaurant. There is much more to San Cassiano than the skiing, with a variety of excellent restaurants, bars and nightclubs located in the resort. With a family-friendly atmosphere, gorgeous sunshine and affordable restaurants, it is easy for travellers to enjoy their time here without blowing their budget. Most of Iglu Ski’s holidays to San Cassiano fly in to Innsbruck Airport which then takes about 2.5 hours to reach resort.